O Brother, Where Oat Thou? 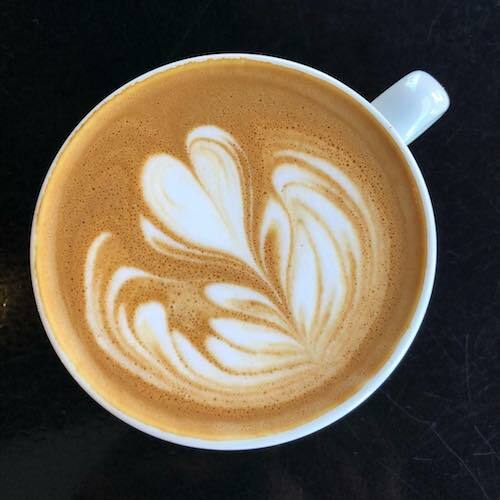 It's been an uphill battle for the dairy-averse to find a milk that can both hold the velvety microfoam at the heart of a great cappuccino and that doesn't turn iced coffee into a watered down mess with some floating sediment. Pea milk was out based on the name alone, and although almond milk had a good run, it has an unpleasant aftertaste when you're consciously aware of how detrimental to drought-stricken California its mass production is. And then came oat milk. Numerous masterpieces have come from Sweden, including ABBA and IKEA, and Oatly is just a testament to that legacy of genius. It's slightly sweet, almost reminiscent of cereal milk, and if you put it in the ring with dairy for the title of best foam, our money is on the oats. It's also non-allergenic—being gluten-free and nut-free—and the production of oats requires about six times less water than almonds. 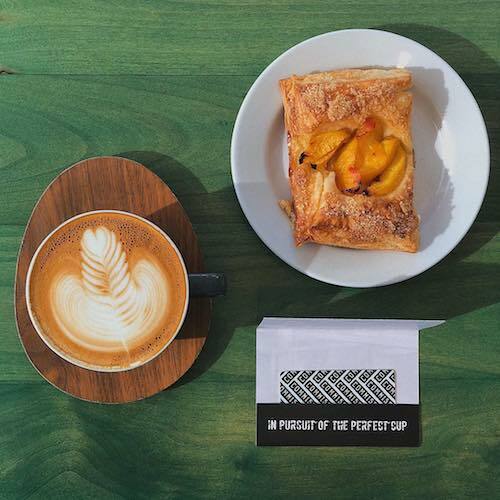 Another testament to its quality is the fervor that baristas across the country have been backing it with and the high demand that's led to shortages in major cities like Los Angeles and New York. It is a milk with a Midas touch, making every beverage it's a part of noticeably better. So where can you get your hands on some of this game-changing goodness? 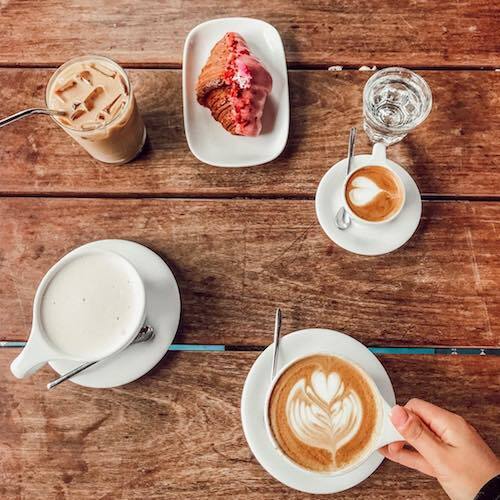 Here are 6 great local spots for you to give a shot, and a question to carry with you as you indulge: O Brother, Where Oat Thou? Jason O'Dell, Bucks & Does: I’m a coffee snob and love going there for a regular caffeine fix. We love their breakfast menu too and our kids are obsessed with the mini donuts dusted in powdered sugar. David Alhadeff, Casa Perfect: In my opinion, making a great cappuccino is good design and I love the work at Commissary. Caroline Vreeland; Musician: The croissants are perfectly flaky and buttery. You always need a napkin when eating it—so you know it's good! Sean Lowenthal; Little Beast Restaurant: Cute coffee shop on our side of Colorado Blvd. It has a good vibe and beautiful La Mazocca espresso machine. Tim Moore; Vegan Fat Kid: Holy Avocado! For all my Avocado Toast lovers—this is the best in town! Artisan millet bread from the East Coast, maple tempeh "bacon" and boulders of avocado. No spreads here! What makes this Avocado Tempeh Lettuce Tomato sandwich so special is the housemade dijon aioli giving the dish added dimension and a fantastic contrast to the sweeter tempeh. If you haven't had breakfast at Kitchen Mouse yet then I'm not sure we can be friends. But if you see me there, definitely say hi! 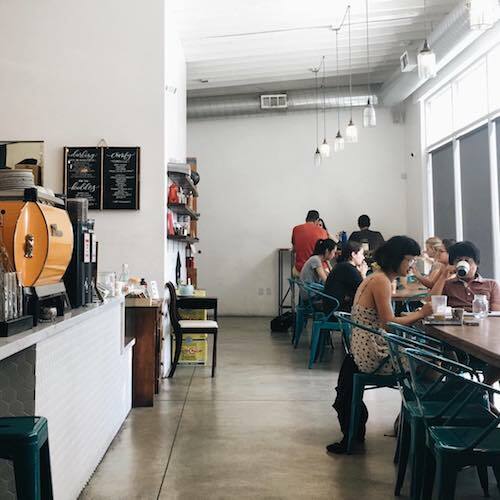 Caroline Juen; @loveandloathingLA: I love that you can get a bit of the westside from Gjusta on the eastside! And the matcha croissant paired with the matcha latte are a match(a) made in heaven. 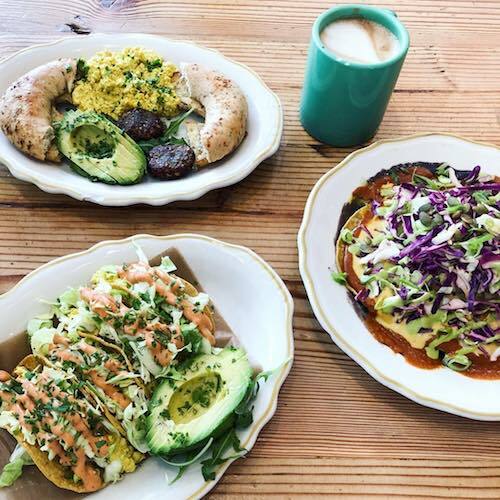 The new NYC import is known for its matcha lattes, but also offers salads, grain bowls, and pastries from Gjusta at its hip new Silver Lake outpost. When you order a vanilla lattee here, expect the bean. Always busy, local destination for meets with your peeps. And LAMILL's coffee set quality standards before slow pour was even a thing. Fashion boutique in Silver Lake, Los Angeles offering a wide variety of clothing and accessories for men and women. 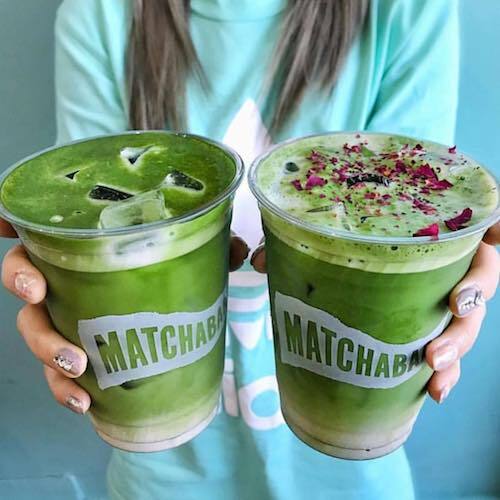 It's no news that matcha is the next big thing, but MatchaBar has been sourcing and shaking up the best in the US since opening in Brooklyn in 2014. This month, they opened in Silver Lake and naturally everyone's lining up for all matcha everything—we recommend the vanilla almond matcha latte.